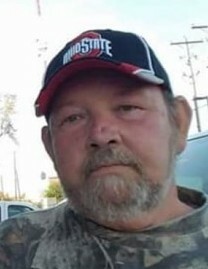 Steven E. Scarberry, 63, of Mcarthur, passed away on Sunday, January 20, 2019, at his home following an extended illness. He was born on May 11, 1955, in Columbus, Ohio, son of the late Edward and Hazel (Gearheart) Scarberry. Steve was a loving husband and father who enjoyed hunting, fishing, and driving his semitruck, where he hauled lumber for 30+ years. When he wasn’t working, he liked tinkering with his tractor using it to “bush-hog”, as well as plow and plant a garden. The fruits of his labor were also put to great use as Steve was an excellent cook. He enjoyed baking pies, making trail bologna, and anything else he could make using venison. All this hard work was for one reason: his family. Steve’s family was his pride and joy and he very much loved spending time with them. He will be greatly missed. He is survived by his family: wife of 41 years, Jackie; two sons, Jay (Ashley) and Shannon (Courtney) Scarberry; daughter, Lucinda Campbell (Jay); 13 grandchildren; nine great-grandchildren; four brothers and their wives, Jerry (Cindy), Dennis (Chris), Andrew, and Russell (Anna); two sisters, Sharon Chesser (Gary) and Brenda Bowden (Jimmy); mother-in-law, Bertha Mitchell; two brothers-in-law; four sisters-in-law; special aunts, Linda Gearheart; as well as several nieces and nephews. In addition to his parents, Steve was preceded in death by five grandchildren and his father-in-law, Stanley Mitchell. The family will receive friends at Renovate Life Church of God in McArthur on Wednesday, January 23, 2019, from 11 a.m. to 1:00 p.m. A graveside service celebrating Steve’s life will follow at Mitchell Family Cemetery, Creola, with Pastor James Dimel officiating. Please visit www.rmwilliamsfuneralservice.com to leave a message of comfort, condolence, or encouragement to the family or to view Steve’s online video tribute. Arrangements are under the direction of R.M. Williams Funeral Service, Wellston, who is honored to care for the Scarberry Family.